This book was wonderful when I first read it ten years ago, but it's even more wonderful now. It's amazing what growing up does to your views and opinions; my first read at fifteen left me mainly just scandalised at the injustice of it all, but this time I feel and understand so much more. It's gorgeous, because one part of this is Lee's portrayal of Jem and Scout maturing and having a more adult view of their world. This has also happened to me with a ten year gap between readings of the book; it's incredible. 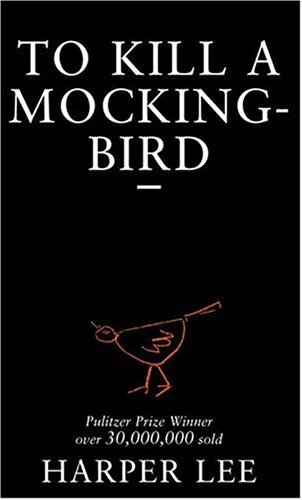 To Kill a Mockingbird is perfect. It isn't overly preachy with its message, but gets it across nonetheless. The court scene is particularly great at giving an impression of social inequity, and a feeling of impending sorrow and doom. The study of prejudice is flawless; we are shown lots of definitions of what it is to be black, white, male, female, rich, poor, educated and uneducated, but none of these are correct. It is what it is, and it is what you make it. Lee writes Atticus Finch as the ultimate father. He teaches his children to look beyond skin colour, age, and wealth. He completely believed that the most important thing was to ensure his children respected him, and the only way they could do so was by always seeing him doing the right thing. The worst thing for the children would have been to hurt their father, so his teaching methods worked perfectly. I love Scout. I love how inquisitive she is, I love that although she's been brought up incredibly well, and that she still has a beautiful childish innocence, but most of all I love that she isn't a standard little girl. She isn't written in frilly dresses, she fights boy, she wears overalls, she doesn't want to be a girl; she wants to be a person first. 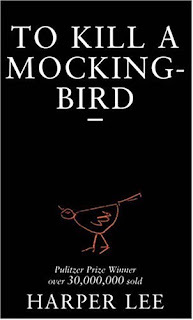 Harper Lee puts fire into our hearts with this story. She isn't telling us to riot against injustice, she is showing us Atticus Finch's vow to always do right, and subtly suggesting that this might be a good way to live our lives. She gives us the mentality to never give up, and to fight the unwinnable fight: “Simply because we were licked a hundred years before we started is no reason for us not to try to win." This book fits perfectly on the 'everyone must read' list. It's one of those books I hate to review, because it's so wonderful and I can never do it justice (no pun intended). Although I realise many have read this in school, read it again whether you loved it or hated it. It's so worthwhile, you won't regret it.